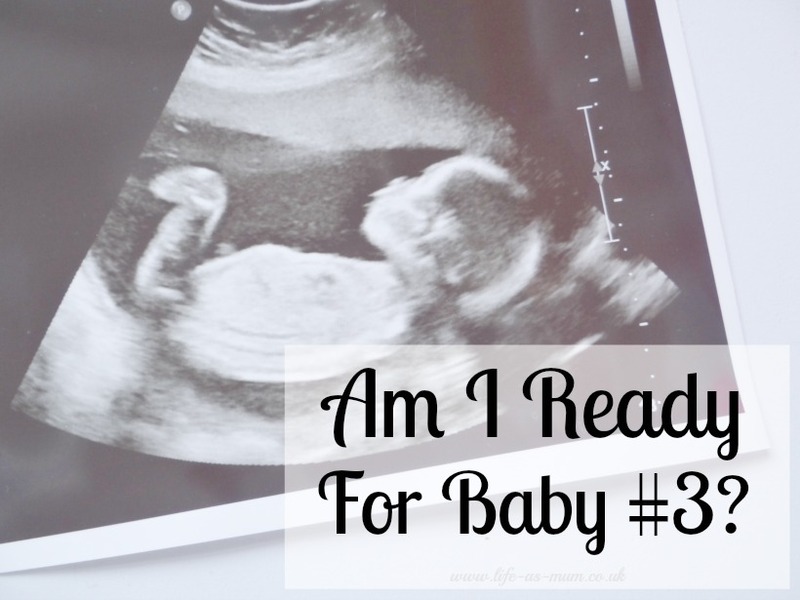 Am I Ready For Baby #3? I don't think there is ever a right time to be 'ready' for another baby. I am going to have a lot of hospital visits and scans through this pregnancy and have already got 3 appointment letters come through the door last week to see a consultant and for a scan. So I am counting how many weeks I will be and I am just seeing this pregnancy fly by, which is making me a little sad to think about. I take a look at what I have bought Baby boy so far and all I have is clothes, a lot of clothes. I managed to get hold of a free moses basket from someone who lives nearby but I am needing to buy so many more things for Baby boy, such as a pram, baby bouncer and so much more. I haven't even thought about my hospital bag and what to pack and I haven't even thought about the coming home outfit or anything else. This pregnancy is different. Mia and Elliw's pregnancies were different, but this one is just totally different. I am not quite sure how to explain it. I am not sure if it is because I am expecting a boy or if it is because I am so busy with the girls and our routine my mind still hasn't got used to the fact that I only have 4 or so months left until I become a mother to three children. Even writing this now I don't believe it. I am super excited, don't get me wrong. But it still seems so hard to believe that there will be another child, my child, my son, coming into our family during July. I do think sometimes, how is this going to be different? Both my girls will be full time school in September and Baby boy will only be around 2 months old. My friend is also due her baby in August so I will have someone to talk to with a baby close age. I will also be breastfeeding (hopefully) Baby boy and I do think, how will the nights go? will I be able to cope? can I do it? and so on. Many things are going on in my head. How am I going to juggle the school mornings? Am I going to be able to share my attention with all three? How am I going to be a mum to three children? Two children I am used to but with there being a gap of 4 years I am pretty nervous this time round. I can't say I am ready or I am not ready for baby boy because I don't know and I don't think I ever will be ready but it was just come naturally. Having a baby boy after two girls will be a shock but I am prepared for the challenge and prepared to learn new things on the way. No one is ready for what parenthood brings you.